If there was any glimmer of hope that Monster Hunter 4 would see localization to North America any time soon, those hopes were dashed with today’s Nintendo Direct. 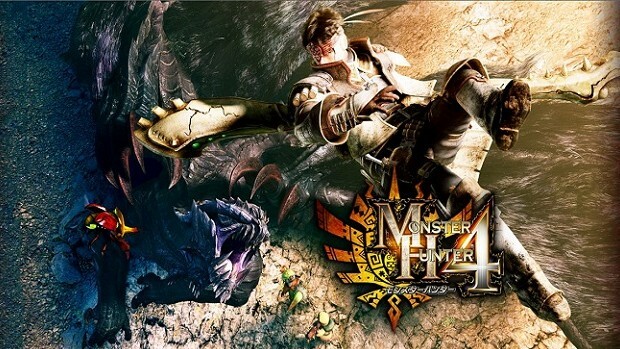 There was an almost 10 month delay between the release of Monster Hunter Tri for the Wii in Japan and the NA localization, so that doesn’t rule out a Q2 2014 release for MH4, but if you want to play it anytime soon the import is the only game in town. I wasn’t really planning on getting it, but circumstances enabled me to get my hands on a copy relatively painlessly and after some initial stumbles I was hooked on Monster Hunter again. I kept telling myself that I’d write a post about MH4 when I’d played more of it. The thing I’ve realized, however, is that no amount of playing MH4 will ever seem like I have played enough to fully understand all of the weapons, items, areas, and monsters the game has to offer. As was the case with Monster Hunter 3 Ultimate, MH4 is a truly vast and epic game that can easily provide dozens of hours of enjoyment for the casual monster hunter, and hundreds for the dedicated player. Monster Hunter is known as a franchise that’s extremely difficult for newcomers, and the barrier will only be higher if you plan on importing the game, but an incredible experience awaits those willing and able to scale those walls. 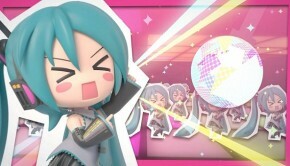 First, that barrier: you will need to own a Japanese 3DS or 3DS LL to play this game. The 3DS is regions locked, so no matter if you import the physical cart or buy the game on the Japanese eShop, you will need the Japanese hardware. That’s just the start of it though. The game itself is not terribly import friendly. I was lucky to have a lot of help and guidance (thanks Peter! ), so the language barrier was not too much of a hindrance for me, but I’m not exaggerating when I say I got completely stuck during the camera control tutorial in the first 10 minutes of the game. Look up at the birds in the sky, by the way. Even though it’s really light in the story department, you’ll spend a lot of time looking at Japanese text for items, monster drops, recipes, armor skills and much more. I actually don’t recommend it unless you have some basic knowledge of the Japanese language, a good guide, or extensive experience with a previous Monster Hunter game. My time with MH3U helped immensely, though there were still some rough bits and it took some time to get used to searching Japanese wiki pages for weapon trees and armor lists. All that said, if you think you’re up to the task, read on because the new features in this game are totally worth it. Monster Hunter is a game where your character class is basically the weapon you choose to fight with, and this time around they’ve added the Bug Staff and Charge Axe bringing the total up 14 unique weapon types. As was the case with previous games, each weapon type has an expansive upgrade tree requiring materials gathered from slain monsters and from static resource locations in the game world. There is an equally wide variety of armor sets, and you can spend a lot of time planning out where to get the materials to craft the weapon and armor you want. There is no leveling mechanic in this game beyond improving your weapons and armor, so to advance there is no way around it. The staggering assortment of crafting items and materials can be daunting and difficult to parse, especially when it’s in a foreign language, but with a little work and a good memory for the material icons and names it’s doable. For me this is roughly half the appeal of the series, the other half being the monster fights which are much improved this time around. Gone are the horrendous underwater battles of MH3U, and in their place are environments with a lot more verticality. Climbing is much more fluid than in the previous game, and you’ll be doing a lot of it as enemies move quickly between different levels in each area of the map. The addition of leap attacks and monster riding also gives you some incentive to climb, as well timed leap attacks let you hang onto a monster and stab it with your dagger while it thrashes around. The monster riding mechanics are not unlike the grip mechanics in the classic PS2 game Shadow of the Colossus, and even though it’s a simple mechanical system, the excellent monster animations and inherent risk versus reward of stabbing or gripping make monster riding an exciting addition. Other changes include differences to the farm management and resource point generation, as well as the ability to find and rehabilitate broken gear in this game’s equivalent of the Moga Woods. Online functionality, absent from the 3DS MH3U, is another new feature that makes it easier to hunt with friends and even strangers. Other than those new features, and the addition of some new monsters, the core of MH4 is combat and it’s largely unchanged from the previous game. Games are often criticized for not advancing the genre, but Monster Hunter takes the adage “if it ain’t broke don’t fix it” to heart. Fighting monsters is still every bit as challenging, skill intensive, and ultimately rewarding as it was in MH3U, so I’m more than happy with an iterative improvement over the previous title. So why bother importing MH4 when a pretty good Monster Hunter was released not long ago in NA? Well, aside from the improvements, Monster Hunter is a series so dense that even with dedicated play over the course of weeks you can only hope to scratch the surface of it. I played this one consistently for about 3 weeks before taking a break to play some other games, and in that time I only just started feeling like I had really gotten confident with my new favorite weapon the gun lance. That was after over 40 hours of play. Most games these days will teach you everything you need to know in the first 2 or 3 hours of play, and by the time you’re done with a short campaign there will be no reason to go back. I have maybe mastered one of the many weapons in this game and not even finished the main story yet. There are still so many monsters to fight, armor and weapons to craft, and quests to complete. Honestly I doubt I will ever really “finish” MH4, but I don’t feel that I need to see the end of the game for some grand pay off or vindication; just playing the game when I have the chance is rewarding enough. So, if you are curious about Monster Hunter I definitely recommend checking MH4 out. The language barrier can be a little rough at the outset, but chances are that if you own a Japanese 3DS you’re already up for the challenge. If you don’t own one, and are a bit adventurous, MH4 is a pretty good reason to get one. If you’re still not convinced, at least go back and check out MH3U.